Kim Wilde with “Child Come Way” is the best song from the year 1983. This best of list is not created. It is a real list, based on the number of times i played each song at my home. Writing this, I feel really old, but i must say that all of these songs were played on my old vinyl player. Most of them were bought by me in the 45″ vinyl format. It was quite a shock to find the book where all these charts were registered for almost 30 years. Yes, I am crazy I know. Crazy about music. I do not care. Now, I have the privilege to go back to all these years and to live a bit my memories. 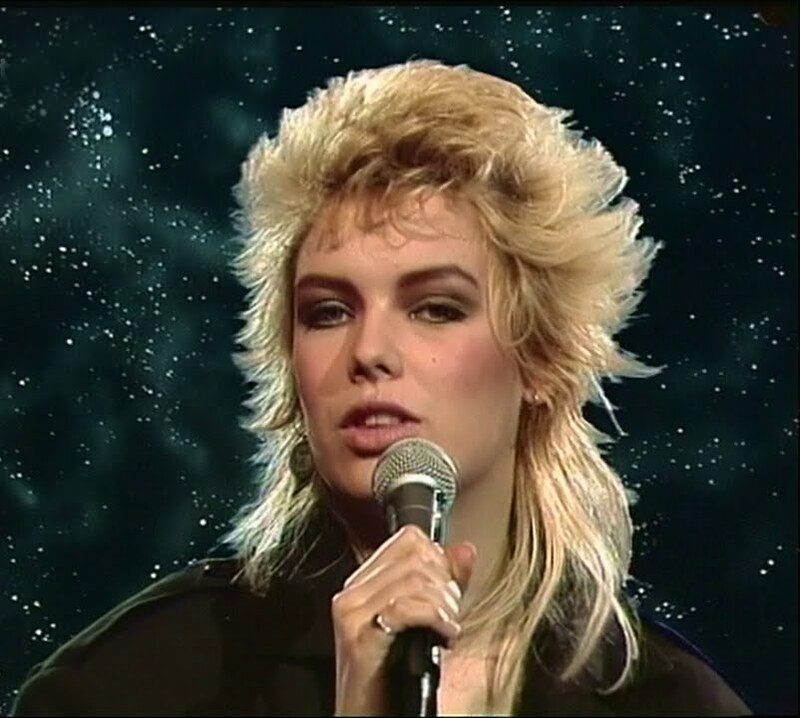 Kim Wilde was my real first music love. I loved the video of this song. As a child, it haunted me in a scary way. Since then, I have been faithful to Kim Wilde. It was really sad when Yazoo ended. Yazoo is the legendary band created by Vince Clarke and presenting Alison Moyet.Luckily, both of these artists are still working and delivered amazing albums. I loved this song so much, along with “Don’t Go” and “Only You”! And I have the three 45″ vinyl! My mother used to say that Alison Moyet seemed to be selling at the market, every time she shouted DONT GOOOO!!!! Kim Wilde made this tribute to Marilyn Monroe. My best friend at the time gave me this vinyl because she hated Kim. This song is still a great part of my life. Of course, what caught my attention here was the amazing voice of Maggie Reilly. This one is still a classic. Mike Oldfield is still active, but he never achieved the success he had here. I always loved this new wave band. They became a reference. This was the debut single of Culture Club, the band that brought Boy George to the public eye. Boy`s voice was one of the few male vocals I liked at the time. Boy George is another artist that is now legendary and still recording. His latest Album ” This Is What I Do” is simply brilliant. This video was a scandal at the time because of Boy George androgynous look. This song is still one of my favourites ever. Maybe the song I most played ever, along with ” Bette Davis Eyes” ( Kim Carnes ) and Madonna`s ” Vogue” and ” Justify My Love”. At the present, there exist several versions of this classic. As far as Irene Cara is concerned, it really is a pity that she disappeared from the public eyes, after releasing an Album. The original soundtrack of the movie was played over and over by me; and the movie itself was watched several times. And sometimes it still is. I remember I used to love the beginning of this classic. Another classic. The song took a while to grow on me when i was a kid. A one hit wonder band. They released some albums after “Words” but without much success.Amazing Dale Bozzio is the leader of the band. Did Lady Gaga get inspiration on her? Lena is one of my favorite Portuguese singers. She is now a legend here. I saw her live last year and it was a good and vibrant surprise to me. Lena released a new Cd last year. This song has never been more pertinent than today! Kim Carnes was my second great love, after Kim Wilde. I guess I love music so much because of these two Kims! My friends usually don’t understand my love for Kim Carnes. I can’t explain it either. It all started with ” Bette Davis Eyes”, the first song that really touched my soul. The song was dedicated to my favourite actress ever, Miss Bette Davis. Along with the different and unique voice of Kim Carnes, I guess I just fell in love. “Invisible Hands” was another song of Miss Kim Carnes that i loved. It is the 14th best song of the year 1983. I have this song in vinyl, both 45″ and 33″ ( The Album with the same name, which I found by accident in a street market). I used to think that this classic by Kim Carnes would bring me luck. Call me a strange person, but i used to sing it when I was at a bus stop. I truly believed the bus would appear sooner! I have it in a 45″ vinyl copy. The song ” Kids In America” is now included in every collection about the eighies. This was the debut single of Kim Wilde. I still love it. It surely isn’t common to have Supertramp in any of my lists. This was the first and only time this has happened. I never bought anything from them anymore. I have this single in vinyl and I still quite enjoy the song and the video. Supertramp is now a super Reference in music. 1983 was the year the world discovered Boy George and Culture Club. This song has an infectious party beat that conquered me back then. I am a bit ashamed of saying that “Manuel Goodbye” by Audrey Landers is my 19th favourite song of 1983. This song is the pure reflection of the word ” Kitsch”! I have it on a 45″ vinyl too. I remember I used to love its B-side too, ” Shot Down”. Audrey was one of the stars belonging to the original Dallas series. Do you remember Afton Cooper? I was addicted to it, so this 19Th place comes without much surprise, if we relate it to Dallas. This song is the B-side of the 45″ ” Pieces Of Ice”, by Diana Ross. It is interesting the fact that I played this ballad more than the A-side. Diana is now a legendary Diva. Unfortunately, we miss some new and inspired Albums. NEXT: The Best Artists Of The Year 1983.